In the past century humans conquered the art of space flight but one thing that still remains beyond comprehension is a flying car. Many have tried and tested failure met them at one point or the other one company still seems adamant to build us a magnificent car that can fly around. 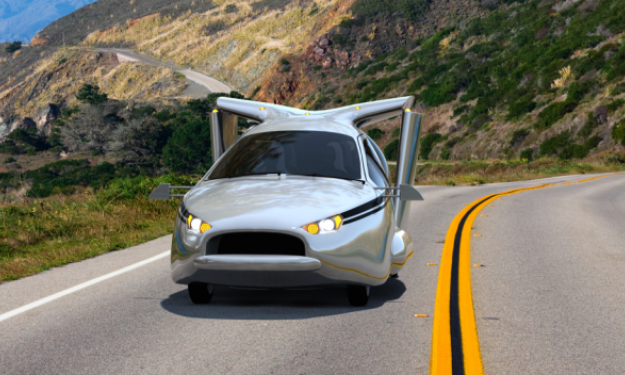 Many people have been patiently waiting for flying cars for many years now but due to certain complications it seemed before that many of us would not be alive to see these flying cars. All is about to change because an American company Terrafugia has launched a new design of its heli-car hybrid TF-X model which is just terrific. The company released a new exterior design for the TF-X which has been around since 2013 but we are yet to see it around. This flying car does not need any kind of a runway to takeoff and land, it has a cruising speed of approximately 322km/h (200 mph) with an 805 kms (500 miles) flight range. The TF-X can recharge its battery either from its engine or from recharging stations, and has a capacity to carry four passengers. The car is a hybrid as announced in 2013 and it is yet to get off the ground, but it seems that all will change as the company announced that a one-tenth scale test model of the car will soon undergo testing in the MIT Wright Brothers wind tunnel. The TF-X model looks like a small helicopter; it has two wings with twin motor pods which can be unfolded in case you are in a flying mood, the car will be lifted up using 1 megawatt of power. The wings look like twin propellers which can be folded and unfolded at will (folded wings will make the car easily storable in a normal sized garage). It is explained on the website of Terrafugia that before driving one can select the actual landing zone and then another two backup landing zones in the event of an emergency where sufficient energy is not available. The driver doesn’t need to worry about getting lost while in the air because everything will be computer operated with hi tech systems. “Operating a TF-X vehicle should be statistically safer than driving a modern automobile,” they claim. If everything goes according to plan and all tests are cleared then Terrafugia believes that the TF-X will take 8 to 12 years for development. I know it is a long time but it is worth the wait, this is the dream toy of many grownups just like me. So be patient! The post Flying Cars Will Be Here In A Few Years by Ahmed Bilal appeared first on WCCFtech.